Relax for a few minutes and arrange the shapes any way you like. 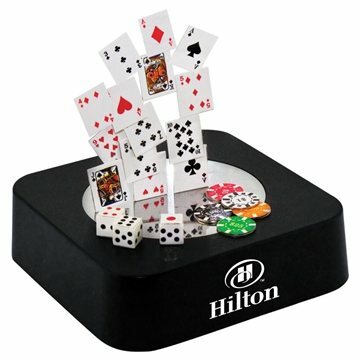 This magnetic sculpture block with all metal pieces can be a fun escape from your busy day as well as an impressive executive gift. this was better than the it available in the supply store. It comes out cheaper too, even with the branding!- the website is very easy to use, and the added ability to mix colors in the order was very helpful. the product and imprinting was very good quality at a reasonable price. tHe product looked well. I'm sure our customers will love them. They've been very well accepted by our clients....that we never take likely! Everybody loves it! The color is superb. My design was matched up perfectly and also the products write perfectly, especially in comparison to how affordable these were.